We are delighted to announce that we have a copy of this fabulous book to give away! Leslie Woodhead made the film of the Beatles in the Cavern Club in 1962. What song were they singing on the surviving film clip? Email your answer to website@britishbeatlesfanclub.co.uk by 12 noon on Monday June 10, 2013. Please include your FULL postal address in your email so that we can arrange to have the book posted to the winner. If you've ever seen the film of the Beatles performing in the Cavern in 1962 -- the only footage of the Beatles in the Cavern -- then you should know the name of Leslie Woodhead. As a young researcher for Granada television he filmed a clip of a local band playing in the Cavern Club in Liverpool for a forthcoming documentary. The documentary, as originally planned, was never finished but Leslie's film of the Beatles in the Cavern singing "Some Other Guy" has gone down in Beatles history. It also turned him into a life-long fan of The Beatles. After capturing that moment of history, Leslie's career took him around the world, including several visits to countries that were behind the Iron Curtain. With the collapse of the Soviet Union and the end of the Cold War, he became, he admits, "obsessed with the Soviet Beatles revolution". 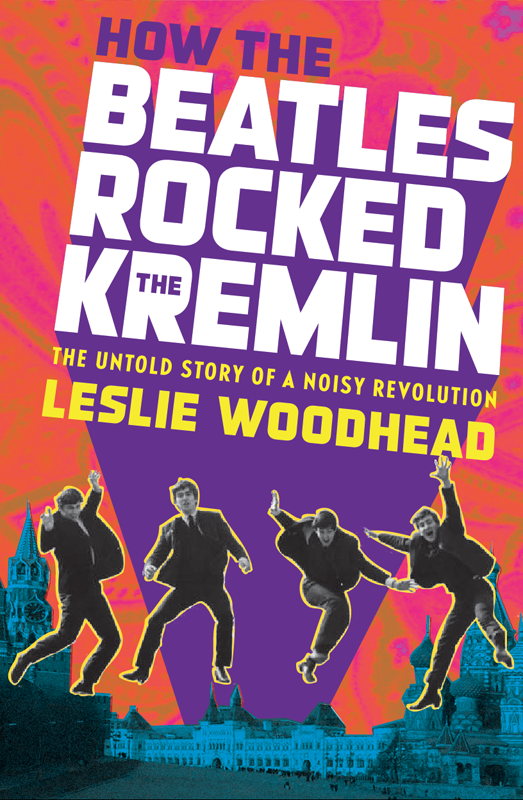 And, in How the Beatles Rocked the Kremlin: The Untold Story of a Noisy Revolution he explores the role that the Beatles might have played in the end of the Cold War, and how 'Beatlemania' was born, survived and indeed flourished "in spite of all the danger" for Beatles fans in the Soviet Union. Leslie's book is a fascinating account that illustrates the pure magic and enduring appeal of the Beatles music. Owning or listening to Beatles records during the Cold War was often illegal and could be highly dangerous but that didn't stop the fans in the Soviet Union. 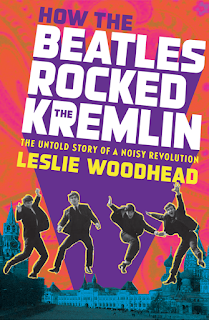 Leslie describes the ingenious methods that were developed to share the forbidden music, which alone go to prove the depths of passion that the Soviet fans had for the Beatles. Throughout the book Leslie introduces us to many of the Beatles' loyal Soviet fans and the interviews are touching, poignant, funny and inspiring. You shouldn't need courage to be a fan of a band, but these people did and it's a privilege to get to 'know' them via this book. From a historian's perspective, this book never quite fulfils its promise to explain the role of the Beatles in the end of the Cold War. It's clear that cultural factors, including music, were important but, as Leslie acknowledges, it wasn't just The Beatles that were involved . Therefore, although the Beatles may have helped to rock the Kremlin, they weren't the only cultural influence that can be credited for the momentous changes. One can't help but wonder if a similar book could also be written about the influence of jazz in the 1950s, or about other rock and roll icons such as Elvis or the Rolling Stones. Notwithstanding, the Beatles were clearly important and this book is a treasure for its insight into both the minds and the lives of music fans in the Soviet Union during the Cold War. There have been many books written by fans who have met the Beatles, but their stories seem insignificant compared to these people who were grateful for a bad bootleg or a grainy photo. Their dedication, under almost impossible circumstances, speaks to the power of the music and that, when everything is said and done, is the true legacy of the Beatles. As Alexander Gorodny told Leslie Woodhead during their meeting: "If such wonderful music is forbidden, we knew there had to be something wrong with our country." This book will be on the list of recommended reading for my classes at the University of Chester, but it should also be on the recommended list for every Beatles fan. A fascinating examination of the enduring popularity of the Beatles in the former Soviet Union by a writer who was there from the beginning, including never-seen-before photographs Imagine a world where Beatlemania was against the law-recordings scratched onto medical X-rays, merchant sailors bringing home contraband LPs, spotty broadcasts taped from western AM radio late in the night. This was no fantasy world populated by Blue Meanies but the USSR, where a vast nation of music fans risked repression to hear the defining band of the British Invasion.